Between the cities of Whittier and Hacienda Heights, roughly bordered by the Pomona Freeway, Orange Freeway, and the 605, lies a low, small member of California’s transverse mountain ranges known as the Puente Hills. 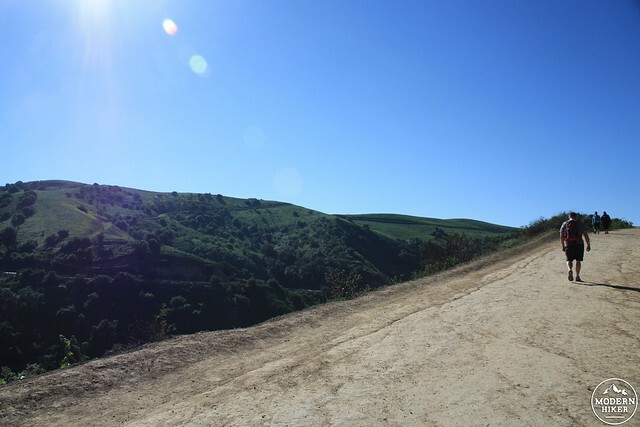 The Hills are dotted by a sprawling system of parks and open spaces that provide easily accessible beauty and outdoor recreation for its citizens, and it might surprise you to learn that the primary reason for these parks’ existence is the largest landfill in the United States. 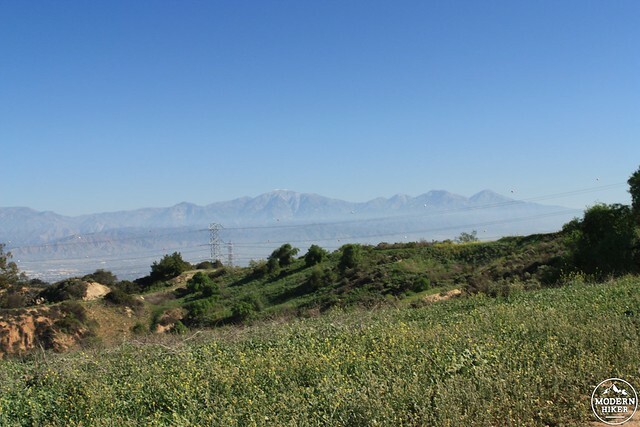 The Puente Hills Landfill began its existence in 1957 as the privately owned San Gabriel Valley Dump. It became a regional sanitation facility in 1970 and, as far as landfills go, this one was pretty forward-thinking. 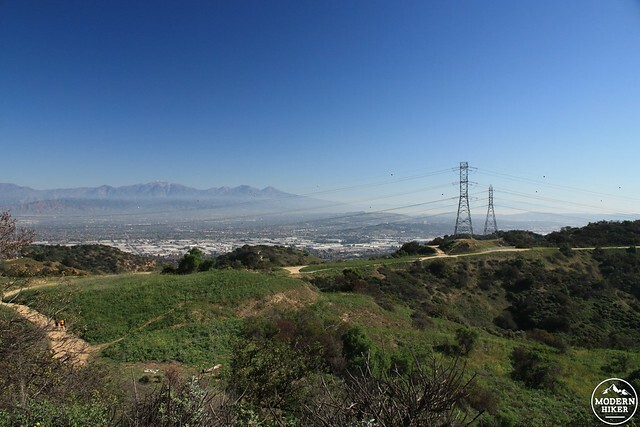 The Puente Hills Landfill began reducing its load by aggressively utilizing recycling and material recovery facilities, is able to generate electricity from the methane in the landfill, and in 1994 they formed an incredibly progressive plan for the nearby land. 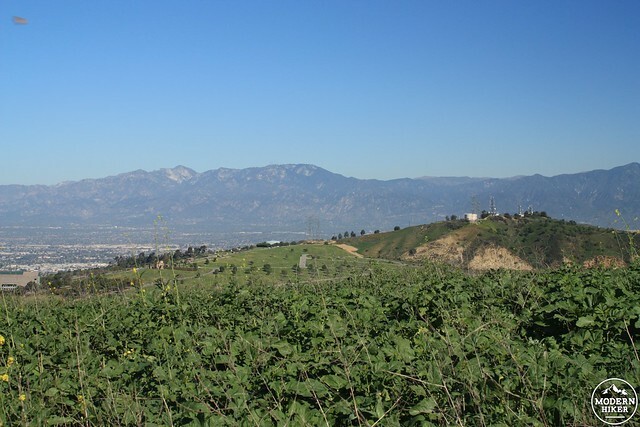 The landfill would become a public park after it closed in 2013, and it would also help form and sponsor the Puente Hills Habitat Preservation Authority to preserve, maintain, and improve the environment of the Puente Hills. 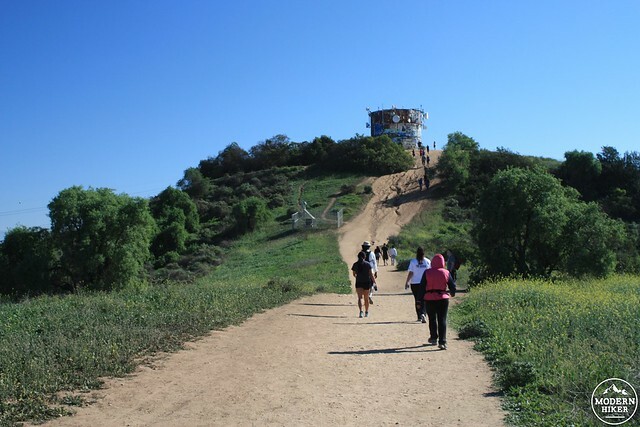 Today, the Habitat Authority manages 3,680 acres in the Puente Hills, and many of the trails are popular with hikers, trail runners, equestrians, and mountain bikers. 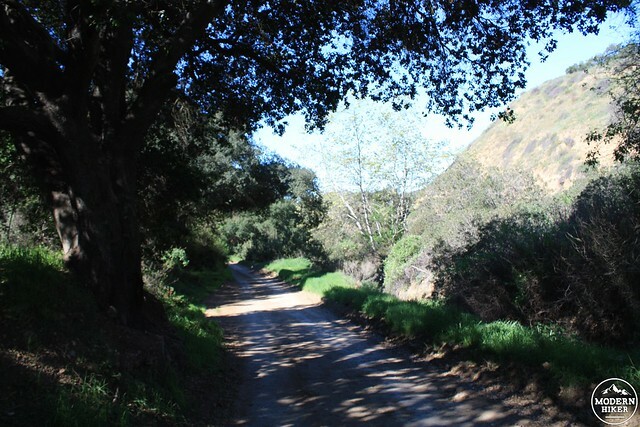 Turnbull Canyon, in the northern-central part of the preserve, is an east-west canyon with relatively steep drainages. The canyon has a creek at its bottom that supports a narrow strip of riparian woodland dominated by sycamore trees, while the slopes are covered in coastal sage and native and non-native grasses. 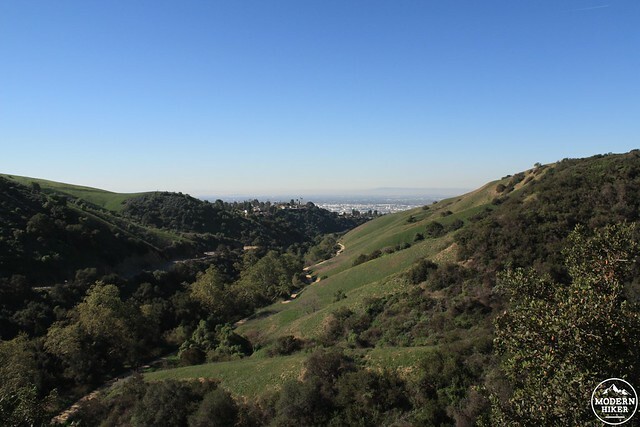 The loop route described here is an excellent introduction to the canyon and Puente Hills in general, and will likely surprise Angelenos who are convinced there’s no good hiking between the San Gabriels and Santa Anas. 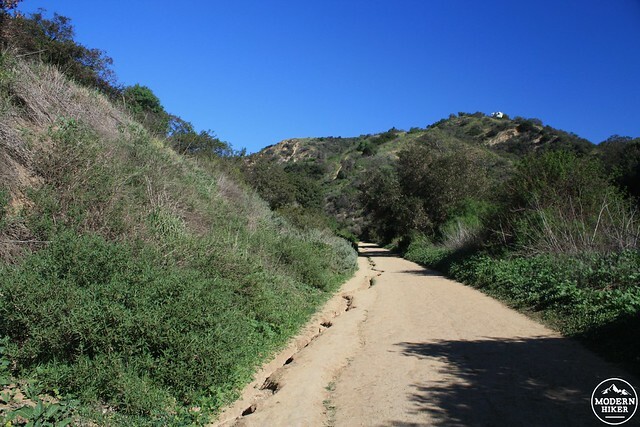 This trail begins at the Turnbull Canyon trailhead, east of Whittier on the circa-1915 Turnbull Canyon Road. There is a small dirt parking area right outside the trailhead that offers free parking during daylight, but because of the trail’s popularity and proximity to the general sprawl of Los Angeles County this parking area is often full. Please note that hours of this trailhead have been reduced — this trailhead is currently open from 9AM-6PM from June 1-September 30th and 9AM-5PM the rest of the year. Be sure to check with the Puente Hills Habitat Preservation Authority for further updates. Whittier has seen fit to blanket the wide road west of the trailhead with Preferential Parking Districts, despite most of the houses in the neighborhood being single family residences with driveways. If you are unfortunate to not get a spot at the trailhead, the closest areas of non-permit parking begin at the corner of Beverly Boulevard and Painter Avenue, about half of a mile from the start of the hike. Once you are on the trail, the steep slope of the Hills is to your right, covered in grasses and invasive mustard, while the narrow riparian canyon is immediately to your right. The Authority is currently rehabilitating the riparian area, so you are not allowed to scramble down to the creek bed. You can, however, admire the impressively large sycamore trees from the trail. In the cooler months (and assuming some decent rainfall), the hills here will be beautifully covered in green and yellow-blooming mustard. 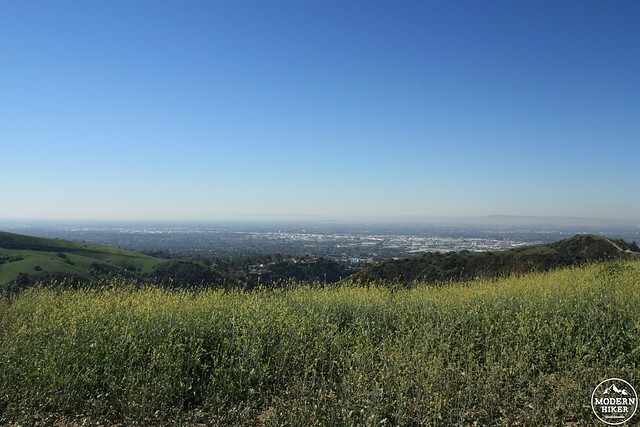 The mustard is not native to the area, but most believe it was brought in during the Puente Hills’ long history as an agricultural area. Much of the area here was used for grazing animals (which likely brought in the mustard seed in their droppings) and farming through the early 20th century when oil became the dominant industry in the region. Many of the fire roads in the Preserve are abandoned relics from old oil production. Today, though, they’re more likely to carry mountain bikers than oil drilling equipment, though. There are several very steep use-trails heading up along ridge lines. These are not official trails and you should ignore them for the purposes of this trip. At the 0.7 mile mark, keep left at the three way junction to start on the Sumac Trail. It’s more wide fire road, but now the trail starts a slow climb uphill and turns away from the riparian canyon. Now you’ll be hiking past California sagebrush, black sage, and Alan Chickering sage. The trail begins a shaper, more steady ascent here as it makes a few quick switchbacks. 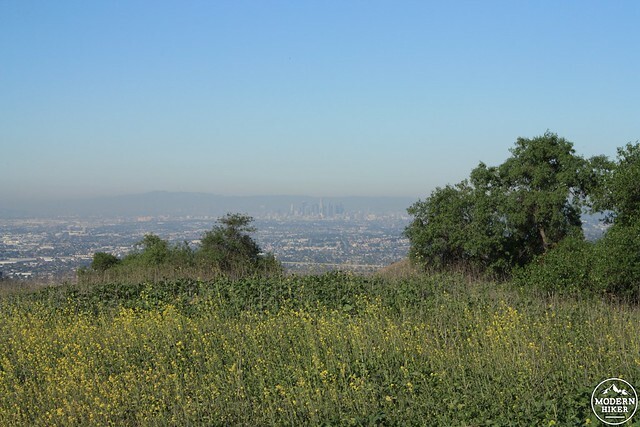 As the trail ascends, your views of Turnbull Canyon will really open up. In the winter and early spring months, expect to see rolling hillsides covered in verdant green or yellow blooming mustard. You could be forgiven for thinking you’re in some idyllic countryside in Ireland or even central California – but on clear days you’ll be able to follow the canyon’s southwestern alignment and see all the way to Long Beach, Palos Verdes, and even Catalina. The photos from this day turned out a bit hazier than our actual views were – we could definitely see Catalina from here! 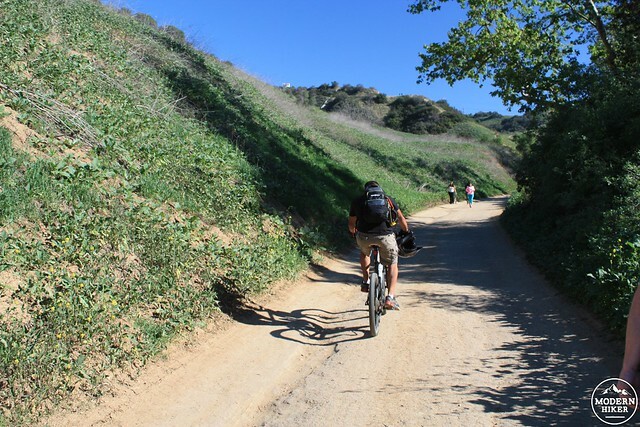 At the 1.4 mile mark, the Sumac Trail intersects with Skyline Drive – a fire road that runs most of the crest of the Puente Hills region. Keep right here and stay to the right again when Skyline Drive intersects with another branch of Skyline Drive and a more faint fire road. When in doubt, just aim for the route with the steepest incline. From here, your eye will likely be caught by a large, terra-cotta roofed pagoda sitting on one of the hilltops to your west. 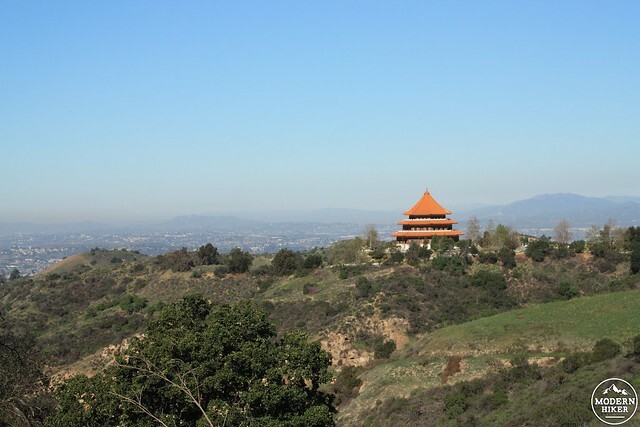 This is the Rose Hills Buddhist Columbarium, where Buddhist funerals are performed by monks from the Hsi Lai Temple. Both the Columbarium and the Temple are open to visitors, and provide more peaceful places of rest and meditation amidst the urban sprawl. Turning your attention back to matters more worldly, climb up the steep fire road toward the prominent water tower on the ridge to your east. As you ascend, you will be stunned by the absolutely phenomenal views you’ll have in nearly every single direction. From this nondescript ridge, you’ll have tremendous views of the San Gabriels and Santa Monicas behind downtown Los Angeles. This would be an absolutely tremendous place to hike after a rainstorm clears the skies (although note that the trails are usually closed for 48 hours following a rain here). 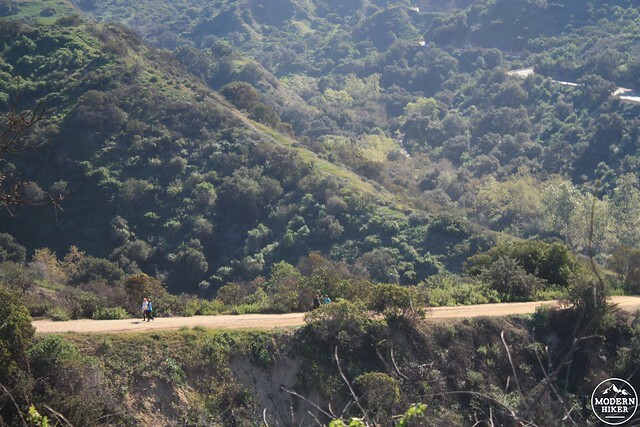 Climb the last steep section of fire road to reach the water tower for even more sweeping views of the San Gabriels, as well as glimpses at the San Bernardinos, San Jacintos, and Santa Anas down into Orange County. From the water tower, continue down the steep fire road on the tower’s north side. The rock here is fairly loose and slippery – as it is in most places in Southern California – so take your time on the descent here. At the 1.87 mile mark, head east on Skyline Drive and continue along this mostly level ridge. You’ll pass through a gated chain link fence and spot the cactus-lined beginning of the Schabarum Trail on your right. 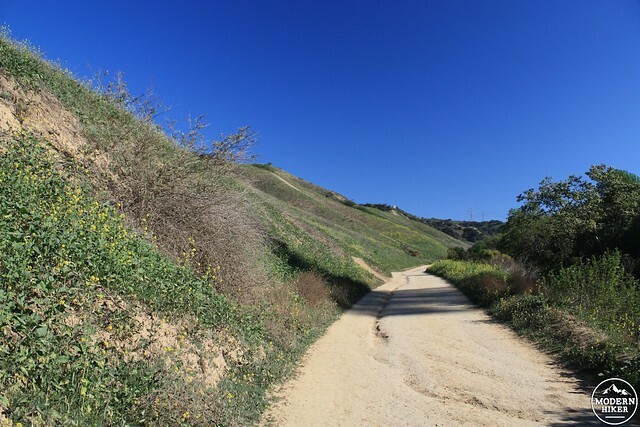 Turn onto this trail to begin your descent back into Turnbull Canyon. If you’re lucky enough to be hiking this in the spring, the cacti soon give way to a lush, green landscape. 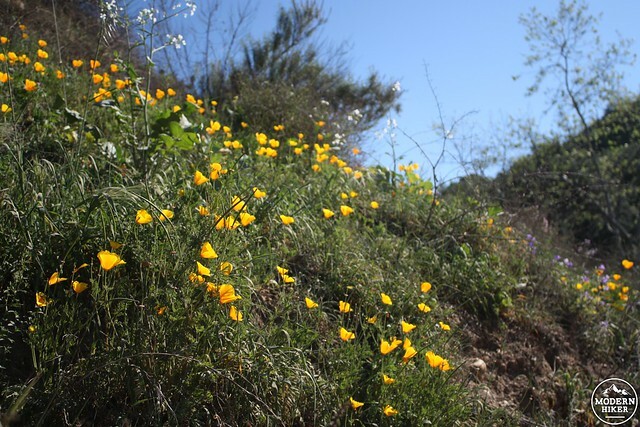 Be sure to keep your eye out for poppies, lupines, and blue bells on the hillsides, too! At 2.7 miles, stay to the right as the trail meets an unnamed fire road. 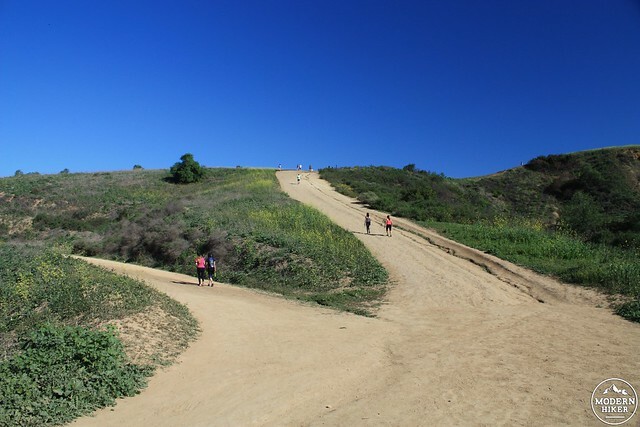 At 2.9 miles, you’ll be at the bottom of Turnbull Canyon and back on the Turnbull Canyon Trail. Turn right to follow the trail toward the west on the canyon’s southern bank. 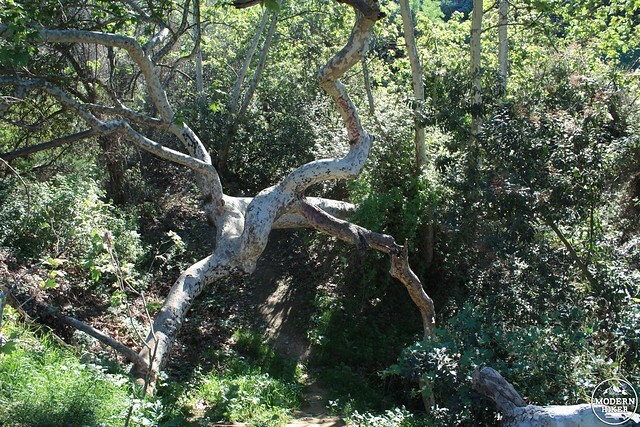 Enjoy the shade of large live oaks and sycamores as you continue hiking along Turnbull Canyon (and keep an eye out for poison oak). At 3.45 miles you’ll re-meet the junction with the Sumac Trail. Keep left at the junction to return back to the trailhead. Good. Most of this route is on well-established and well-traveled fire road, with a few sections of single track trail. For the most part, junctions are well-signed. There are many unofficial use-trails and mountain biking routes that are also carved into the hillside. You may want to try your hand at them for an extra challenge, but they are not maintained and are definitely more strenuous than the route described here. Note that the Puente Hills Preserve may be closed during dangerous fire conditions and for 48 hours after a rain storm. Check their website for up to date information on trail closures due to rain or other maintenance. From Los Angeles, take the 101 south to the Pomona Freeway (CA-60). Head east and take the exit for Rosemead Boulevard (CA-19) south. Head south on Rosemead for 2.2 miles and turn left to head east on Beverly Boulevard. In 3.7 miles, the trailhead will be on the north side of the road. There is a very small dirt parking area. If you can't find parking here, you'll have to head west. Homeowners in the area continue to restrict street parking for visitors - the closest is Greenleaf, 0.8 mile away. The closest non-permit parking I found was at Painter & Camilla Avenues. You now need a permit to park at Painter Ave & Beverly Blvd. Hi Casey. I am the Ecologist for the Puente Hills Preserve and am glad to see you're enjoying our Preserve and respectfully staying on our designated trails. As part of our mission to preserve plants and wildlife in the Preserve it is important that we encourage recreationists to stay on officially designated and maintained trails. We are working very hard to close the unofficial trails and restore the habitat and would appreciate your help by not encouraging others to use them with your statement above: "There are many unofficial use-trails and mountain biking routes that are also carved into the hillside. You may want to try your hand at them for an extra challenge, but they are not maintained and are definitely more strenuous than the route described here." Thanks for letting people know about our hours as Preserve hours and trail etiquette are two important visitor education programs for us! If you have any questions, please feel free to contact me at [email protected] or visit our website at www.habitatauthority.org. To add to the comments I made earlier today, 2 hour parking for bikers and hikers on the weekend definitely would not work for me or any of my neighbors. That is when we want to enjoy our neighborhood and to be able to access our homes after running errands etc. We once had to truck Home Depot supplies for two block because we could not park our vehicle in front of our own home. Not fun I can assure you. I am well aware of the beauty of the Turnbull trails, however seeing dirty diapers, massive amounts of dog feces and trash is just disappointing and a disgusting lack of respect for our beautiful hills and trails. Two hour parking for these people is not a solution! We are in constant communication with the Whittier Parking and Transportation department and they have no intention of removing or changing the permit parking situation. Remember that the neighborhood is just that, a neighborhood. It is residential and not recreational. Perhaps the people you should be talking to are the Habitat Authority who have allowed this situation to get out of hand and advertised the trails without providing any parking whatsoever. Thanks for sharing your viewpoint, Jenny. 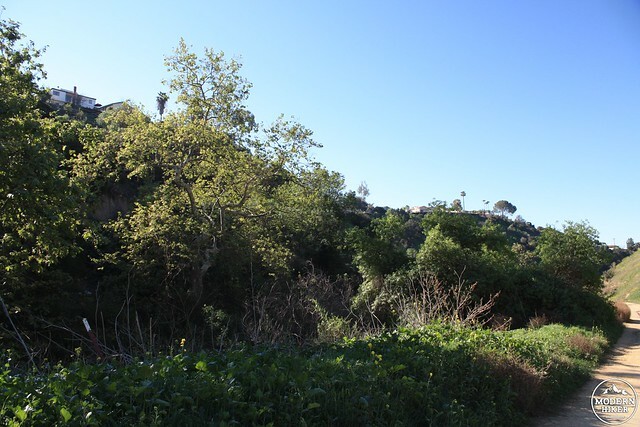 It sounds very similar to some problems homeowners in the Hollywood Hills are having with trailheads to Hollywood Sign viewpoints - and in other popular hiking areas close to peoples' homes. I hope that outdoor enthusiasts and homeowners can come to a mutually beneficial compromise instead of digging their heels in on both sides. While I'm sympathetic to the people who live near the trailhead, I don't think making access to an obviously much-loved green space in a region notoriously poor in green spaces is the best course of action. 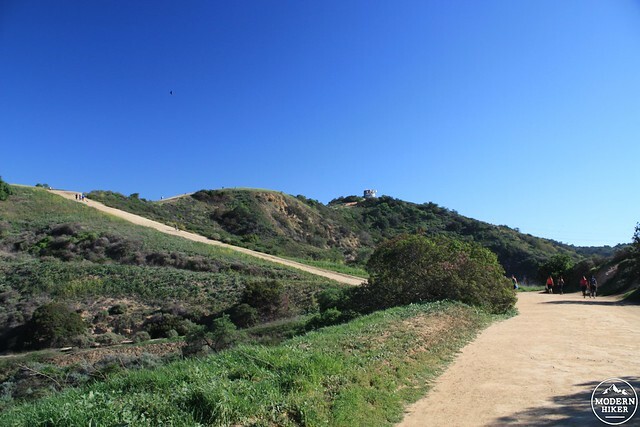 Near the southern entrance to Runyon Canyon, for instance, very similar problems were happening - litter, noise, people not picking up after their dogs, etc. Parking rules were changed, but they basically allowed people to park for a short time (I think 2 hours) during the weekends, not at all during the evening, and (I believe) made it very difficult to park during the week. This ended up reducing a lot of the residential complaints while still letting hikers access the trail during the daytime hours on the weekend -- and the parking rules are STRICTLY enforced, too. I hope the City of Whittier can use something like that as a model so both groups can get what they want and neither side feels like it's being antagonized. I would like to comment on your observations regarding parking near Turnbull Canyon. I live close to the trailhead and have resided in this neighborhood for 32 years. Most residents DO NOT have driveways and even if they did why should we be subjected to our neighborhood being overtaken by trash tossing, loud, rude bikers and hikers every single morning of every week. Fortunately we are a united neighborhood and came together to resolve this issue and now have our neighborhood partially restored to peace and serenity by having permit parking only streets. We are hoping that the Habitat Authority will close this trailhead to protect the wildlife corridor and stop the damage that is being done by rude, ignorant people who have absolutely no respect for this wonderful and natural resource. 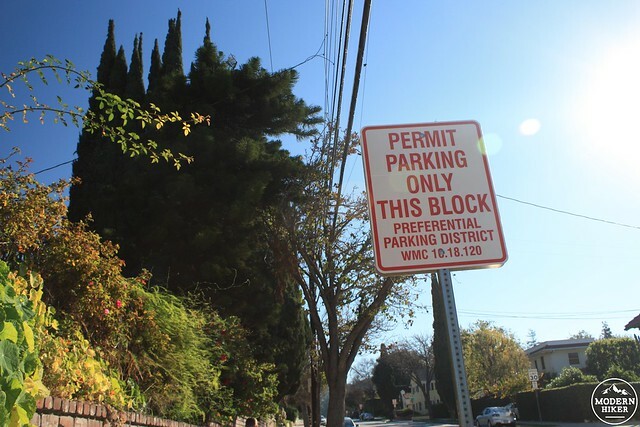 Rest assured that the permit parking will continue to grow as more and more streets request it from the City of Whittier, who are, by the way, extremely sympathetic to this ever growing problem. 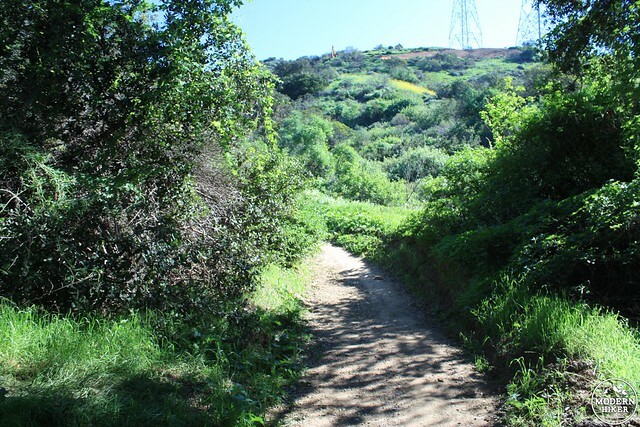 You might want to check out the Native Oak Trail from the Hacienda Hills Trailhead too. That's my lunchtime run/walk. There is also a great little outdoor gym at Orange Grove Park right next to the trailhead. Perfect to clear my head for that afternoon push. I suspect the parking issue goes to the many rumors of the canyon being haunted, home to devil worshipers and all sorts of other things over the years. Those crazy stories have long attracted people who are not necessarily there with the best intentions. As a result, the parking around that area has seen lots of vandalism and theft, and the locals are certainly tired of the nonsense. I'm not sure if it's still the case, but I'd strongly recommend that people take precautions if you park there (like concealing valuables in the car, etc.). I park far away from the entrance ... no point in asking for trouble. These are the two main routes / trails in Schabarum park and powder canyon I mentioned on your FB post. Additionally here is another route in Turbull Canyon that I enjoyed. It's been years but I believe its called the Native oak loop, or something to that effect due to the large amount of old oak tree growth as you drop into the canyon just west of Old Canyon Dr. Thanks for visiting my backyard!